Welcome Friends... Feel free to put your feet up and relax. Thank you so much for taking a break and visiting Unwind.com. The Unwind Company™ began delivering premium quality, soothing backcare and relaxation products and furniture back in the late 90's. We've experienced tremendous growth and are so honored to have served millions of people across the globe. We also know that our success depends on the satisfaction of our customers. While we have served millions, we are still dedicated to providing each and every person a unique and personalized experience. A Stress-Free Shopping experience is our #1 goal. The Unwind Company is not "just another retailer." The purpose of our company is to deliver the latest in stimulating and life-enhancing furniture, such as Ekornes, Stressless, Himolla, Fjords, Human Touch, & more. We strive to promote relaxation and comfort to all visitors through European furniture, back supports, pain relief items, massage products, & more. We have committed resources to providing many free services that most everyone can enjoy. These services include a handful of popular web sites designed to help our visitors. Not only do we sell relaxation and back care furniture, massage and back products- We are dedicated to helping people "Relax and Unwind their Back, Body and Mind (SM)" through whatever means available. During every new employee's orientation they learn our guiding principles established by our dedicated President, Toby Shenefelt. He instills a sense of family and community amongst the folks here. We strive to not only treat everyone we meet with the utmost courtesy and respect but also each other. Toby describes various other employment settings that are focused on all the wrong things and ultimately lead to stress on the employees. The atmosphere here at Unwind is one of relaxation and serenity. Our sincere hope is that those qualities will transfer to everyone we meet. Each item and service is designed to bring a little peace and comfort to you. 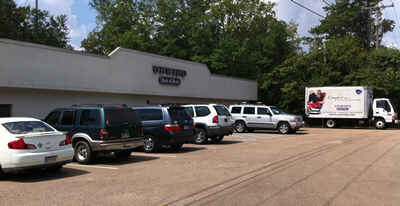 When you're in the neighborhood, please don't hesitate to stop by and visit us in our MS Retail Location. Our store is physically located at 3911 Hwy 80 East in Pearl, MS. You're sure to enjoy the relaxing atmosphere and our great selection of Stressless Furniture and massage chairs, comfort sleep aids, bedding items, back products, memory foam, visco elastic pillows and supports, hand and motorized massagers and 1000's of other exciting back and body products and furniture! As we strive to deliver a Stress-Free Shopping Experience, we hope that it is obvious that our attitude is a Customer Centered One. The staff in our retail stores, our telephone and chat Customer Suppor Team, and secure website all lead towards taking care of you from Day 1 to Day 10,000. At Unwind, we consistently maintain a stellar A+ Rating with the Better Business Bureau. Click the "BBB Accredited Business" Logo to the right and see for yourself. You can also drop our knowledgeable and friendly staff a line at 888-486-9463 and ask them what sets Unwind apart from everyone else. They are available Monday-Saturday 8am-5pm CST to answer any and all questions. We also have dedicated folks who can extend the Customer Experience past normal business hours with our Live Chat Department. 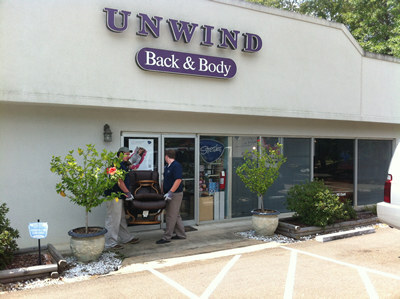 These folks are not only experts on our products but they are also part of The Unwind Team. We are always searching for additional back-healthy furniture, healthcare and other products that we feel can enhance the days & lives of our customers, site users and friends. We hope you will join the free Unwind Online℠ Community/Newsletter and make a commitment to improve both your life and those around you with a healthy approach to improving your mental and physical well-being. Life can be hectic- Don't let the burden of daily stress or physical back or body pain weigh you down. Do you have a unique Back-care Furniture, Relaxation, Body or Massager Product, Service or Suggestion that we can bring to others? Please drop us a note and we will consider it. Remember, you are our driving force, our customer and always a friend.